Netgear�s new WNR2000 Wireless-N router delivers exceptional range and speed and automatically checks for, downloads, and installs firmware revisions to keep you operating at optimal level. 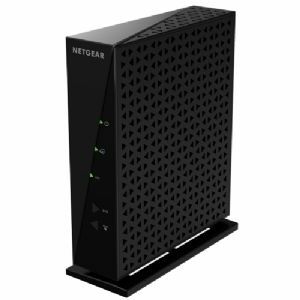 The Netgear WNR2000 offers you a simple and secure way to share your high-speed network connection, and works with older Wireless-G devices as well as the new Wireless-N products. It�s easy to set up using the included Smart Wizard installation CD, and operation is a snap, because Push �N� Connect securely connects at the touch of a button, allowing you to add computers to the network quickly and securely. Plus, you won�t need to remember your network password. Use with a RangeMax Wireless-N adapter and boost your performance and range. Convenient on/off switch helps conserve energy when not in use. For fast, secure networking with outstanding range, choose the Netgear WNR2000 Wireless-N router. Includes a Lifetime Warranty! 7" x 5.1" x 1.4"